Ashli Akins uses photography to educate about social and environmental injustices in Peru and around the world. 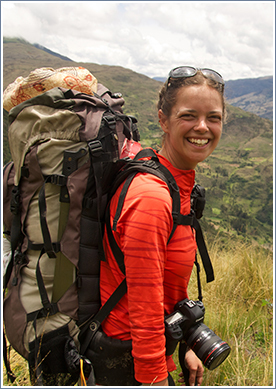 After interning at National Geographic Adventure Magazine, she has had the opportunity to publish and exhibit both in her home province of British Columbia and internationally. She is a PhD candidate at the University of British Columbia, where she is exploring the safeguarding of intangible cultural heritage, and previously graduated with a master’s in international human rights law from the University of Oxford. She founded the Canadian charitable organization, Mosqoy, in 2006, and has been working with communities in the Peruvian Andes for the past eleven years on issues related to educational and cultural rights.